Tuesday, 9 August 2011, Day 259/365. 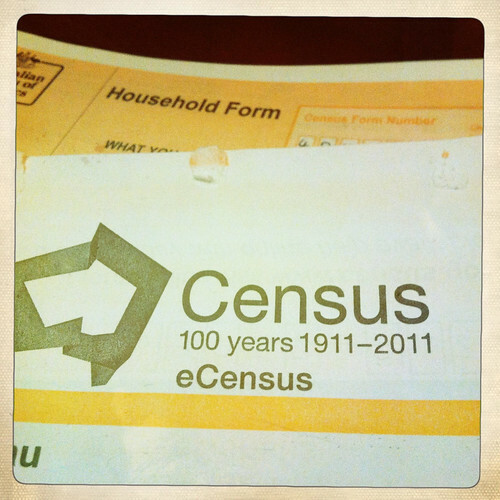 Seems fitting to remind myself that last Tuesday night was Census night. I did the e-version as a digital tragic like myself should do.